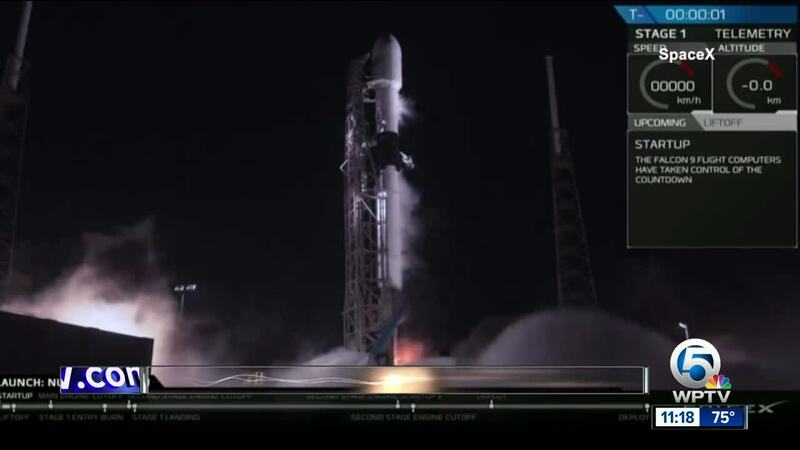 Israel is on its way to the moon, following a dramatic nighttime launch by SpaceX. 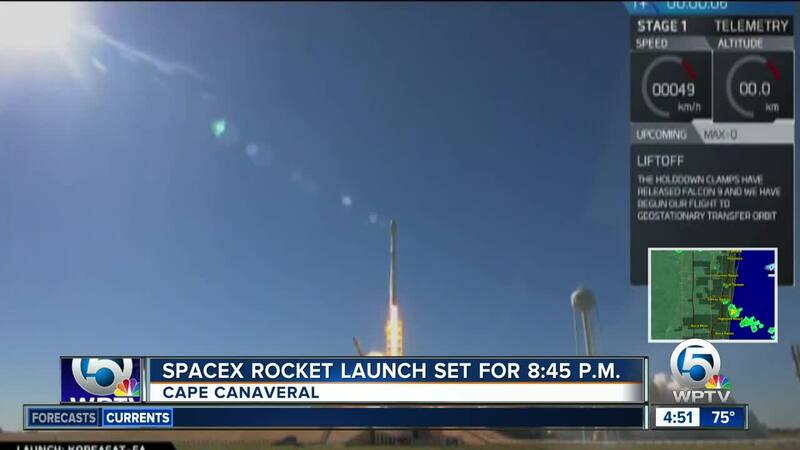 CAPE CANAVERAL, Fla. — (CNN) -- Israel's non-profit SpaceIL launched its spacecraft from Florida's Cape Canaveral Thursday on board a Falcon 9 rocket, in a bid to become the fourth country to make a soft landing on the moon. The unmanned craft, weighing 1,300 pounds and standing approximately five feet tall, began an approximate seven-week journey to the moon, from where it will send back images of the rocky surface and conduct experiments on the lunar magnetic field. The spacecraft, called "Beresheet," a reference to the first words of the Bible in Hebrew: "In the beginning...," was launched into space at 8.45 p.m. local time. For decades, the moon was the exclusive domain of the superpowers. The Soviet Union landed Luna 2 on the Earth's nearest neighbor in 1959. Three years later, the United States landed Ranger 4 on the moon. These were "hard landings," meaning the craft crashed into the moon. The first "soft landings" for both countries came in 1966, when spacecraft made controlled descents to the lunar surface. It would take nearly another 50 years for a third country to perform a soft moon landing, when China's Chang'e 3 did it in 2013. If Israel's space venture proceeds as planned, it will become the fourth -- and by far the smallest -- country to do so. It would also become the first private enterprise to make a controlled landing on the moon, with the smallest spacecraft to do it, and by far the least expensive mission. The total cost of the program, raised from private donations, is $100 million, a small fraction of the billions of dollars invested in the US space program. "This mission that we were talking about was really a mission impossible," said entrepreneur Morris Kahn, who donated $40 million to the project. "The only thing is, I didn't realize it was impossible, and the three engineers that started this project didn't think it was impossible, and the way Israel thinks, nothing is impossible... We are really making this dream come true." SpaceIL was founded eight years ago to compete in the Google Lunar X Prize, an international competition to see whether a private enterprise could land a spacecraft on the moon, move 500 meters in any direction, and transmit live, high-definition video from the lunar surface. The competition was canceled in January 2018 when none of the five teams left in the competition was able to meet the March deadline for a launch. But some of the teams persisted, determined to land on the moon even without the incentive of $30 million in prize money. SpaceIL pressed on, signing with Elon Musk's SpaceX to launch its craft on board a Falcon 9 rocket. Beresheet will travel approximately 4 million miles on its journey, circling the earth multiple times to gain speed before it slingshots toward the moon. It is scheduled to land on April 11.